"How Does This Thing Work?" Let the Free Library Help with Our Extended E-Gadget Helpdesk Holiday Hours! Want to learn how to download some of the over 120,000 ebooks available from our catalog to your new Kindle or Nook? Looking to discover all the hidden features of your new iPad, e-reader, smartphone, or tablet? Can’t figure out how to turn the darn thing on? Don’t fret: The Free Library of Philadelphia’s gadget gurus can help you make the most of your new electronic device during special holiday hours at our e-gadget helpdesk at the Parkway Central Library. Tuesday, December 26 from 10:00 a.m. - 12:00 p.m.
Wednesday, December 27 from 3:00 p.m. - 6:00 p.m.
Thursday, December 28 from 3:00 p.m. - 6:00 p.m.
Friday, December 29 from 10:00 a.m. - 12:00 p.m.
With expert knowledge of the ins and outs of every kind of electronic device under the sun, a gadget guru will help you master your new e-reader or tablet (or an older gadget you never quite figured out) in no time. 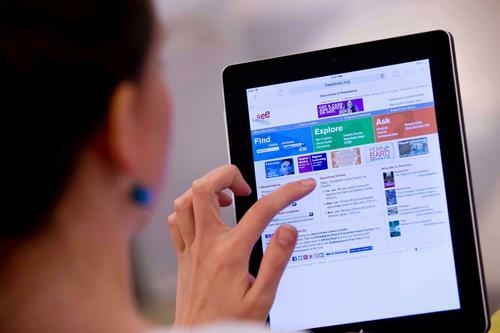 They can also help you explore, stream, and download materials from the Free Library’s Digital Media Portal, including ebooks, audiobooks, music, streaming video, and more! Let the Free Library's gadget gurus help you make the most of your new electronic device! Do I need a Main Library card ? Add a Comment to "How Does This Thing Work?" Let the Free Library Help with Our Extended E-Gadget Helpdesk Holiday Hours!